Lincoln University is home to a 24-7 university-based community radio station. 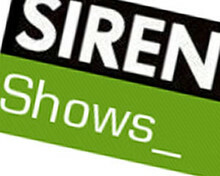 Siren FM 107.3 provides local news and volunteer opportunities - with numerous success stories to date. Journalism.co.uk visited its studio and took part in a show at the end of last year; now we're turning the mic and putting the questions to its managing editor Andrew David. Why are you a community not a university radio station? What your scope? [AD] This is a significant distinction as we are a resource for all of Lincoln and not just for the students and staff and being full time, we have to keep going all year round. If it were student only we would struggle in the vacations and the summer. The volunteer ratio is about 50:50 and we all live happily cheek by jowl. We've been going since 2007 and grew out of RSLs (short term licences) which were awarded to the University to get school children and students on air with their OWN material, hence our target audience is 9 - 24s. For Children in Need we had a volunteer doing an 'around the town in 80 minutes' visiting schools who're doing stuff for CIN. Great fun and she finished the challenge with 72 seconds to spare! We're youth focused: Chlamydia, bullying, the internet, disability, exclusion, local music, but we are careful not to be seen as a ghetto and thus we reflect the views rather than drive them. What do you consider your community successes? We have students on day release who've been able to get into 6th form having been given up on by the 'system'; we've had a 27 year old with no formal qualifications at all who's managed to get onto a pioneering FDA journalism course at Lincoln; we have a group of children travellers who have made their own programme. We have a 60 minute - nearly all speech - award-winning show produced and presented by our journalism students - the only university offering this sort of opportunity for undergrads and post grads anywhere; we have a Russian programme and Arabic Programme; and have won a national media grant - the first to be awarded to a radio station as against a video operation. Is new technology a priority for you: are you developing cross-platform media? We are investing in a new 3.4 terabit server to up rate our website, podcasts, listen again, multi-camera studio cams, radio for the deaf. We already have a digital playout system and use professional hard disc recorder and are about to invest in a 3G ob unit to avoid the cost of booking lines for OBs. Time, and that there's only one of me, and that the volunteers are just volunteers. We have taken the slow and gentle approach to the start up of this station: we needed to wrest control from the students and turn it into a content driven operation. It doesn't happen overnight and that's a bit of a frustration. However, being based at a University is excellent as I don't have to worry about running costs. 7/01/10: This story was updated in light of a reader correction.